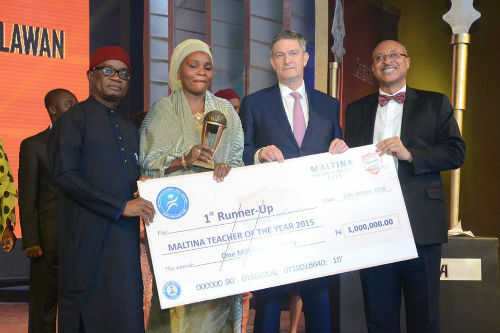 The quest for the best teacher in public secondary schools in Nigeria came to a glorious end at a grand ceremony in Lagos on Monday as a 37 year-old teacher from Anambra State, Mrs. Rose Nkemdilim Obi emerged winner of the maiden edition of the Maltina Teacher-of-the-Year. 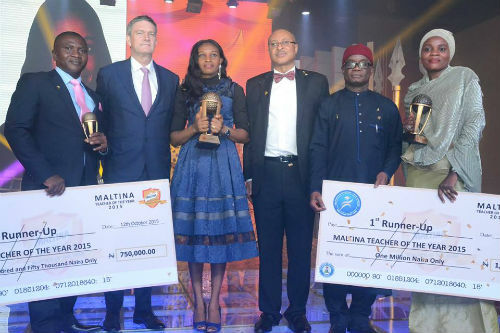 The award instituted by Maltina, the non-alcoholic malt brand from the stables of Nigerian Breweries Plc, is courtesy of Nigerian Breweries-Felix Ohiwerei Education Trust Fund. It is aimed at restoring the pride of teachers and the dignity of the teaching profession. Obi, who is equally a daughter of a teacher, teaches Mathematics and Chemistry at Federal Government College, FGC Onitsha. 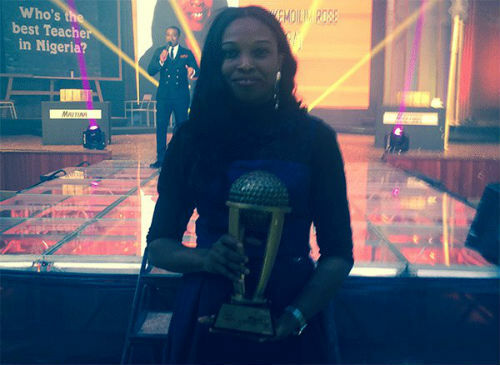 The year 2000 graduate of Nnamdi Azikwe University, Awka, Anambra State beat nine other finalists to the coveted prize. The ten finalists, who slugged it out at the final lap, were winners from Akwa Ibom, Anambra, Benue, Borno, Delta, Ebonyi, Imo, Lagos, Ogun and Oyo States. 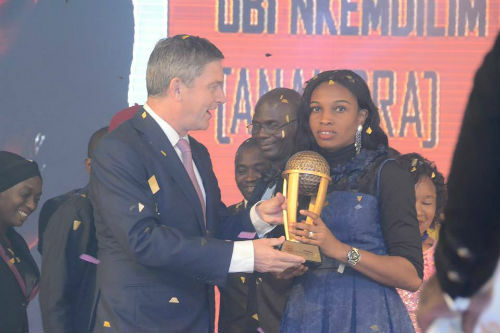 The first runner-up was Mrs. Binta Mohammed Lawan of Federal Government College Maiduguri, Borno State, in the war ravaged North East, while her counterpart from Akwa Ibom State, Mr. Daniel Sunday Udiong emerged as the second runner-up. 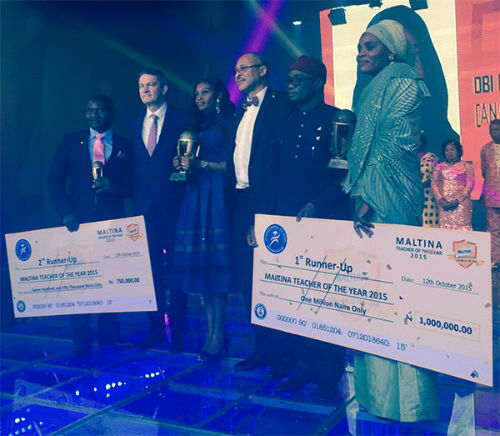 For their effort, the national winner got one million naira and another five hundred thousand naira for being among the ten finalists. Aside this, another one million naira will be paid into her account annually for five years. Obi will also be sent abroad for professional training on the bill of the sponsors. The first runner-up got one million naira plus another five hundred thousand naira finalists’ prize money, while the second runner-up took seven hundred and fifty thousand naira and another five hundred thousand naira for getting to the finals. Meanwhile, Federal Government College Onitsha, the school that produces the national winner has also become an instant beneficiary of a block of six classrooms. Speaking after her declaration as the winner, Obi, who spoke ex-tempore for more than ten minutes, dedicated her victory to God and her fellow teachers. 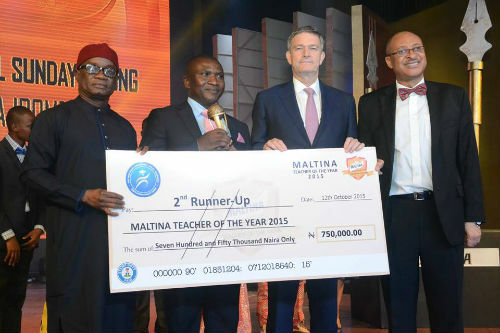 He also thanked the Nigerian Breweries, the sponsor of the award, for the great honour and motivation done to teachers and the teaching profession. “Teaching is a noble profession, it is a calling, it is a commitment to building the nation. I thank God today for my life, and I thank the Nigerian Breweries for restoring the dignity and pride of teachers,” she said. 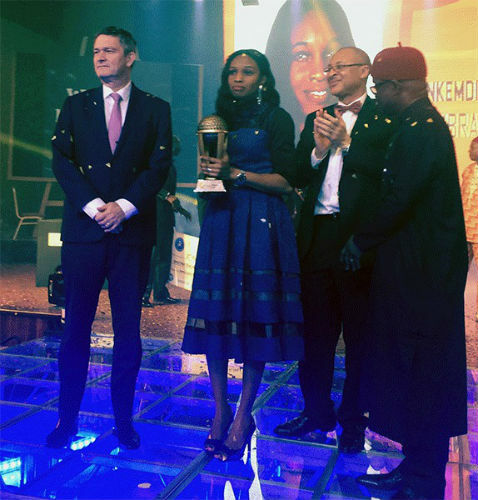 In his welcome remark, the Managing Director of Nigerian Breweries, Mr. Nicolaas Vervelde explained that the company operates with a philosophy of “winning with Nigeria” and has championed causes that add value to the society since its inception in 1946. “In 1994, we raised the profile of our support of the education sector when we established the Nigerian Breweries-Felix Ohiwerei Education Trust Fund to enable us to contribute to the development of the sector. Everywhere in the world, teachers play a vital role in sustainable national development by training, coaching and modelling which is critical to determining the quality of education, “he said. He added that the valid entries received were subjected to an intensive selection and judging process by an independent, external panel of judges to ensure transparency, credibility and objectivity. The Panel of Judges comprised eminent Nigerian academics and professionals, was chaired by Prof. Pat Utomi, Founder/CEO, Centre for Values in Leadership. Others include: Mrs. Mopelola O. Omoegun, Professor of Education, University of Lagos; Prof. Thomas I. Ofuya, Vice Chancellor, Wellspring University and Member, Committee of Vice Chancellors of Nigerian Universities; as well as Mr. Olusegun Adeniyi, Chairman, Editorial Board, ThisDay Newspapers. Other members are: Dr. (Mrs.) Abdulrahman Binta Fatima, National President, All-Nigeria Confederation of Principals of Secondary Schools; and Professor Tijjani Abubakar, Dean, Faculty of Education, Ahmadu Bello University.